Why See Chicago Symphony Orchestra - Simone Young Conducts Wagner and Brahms? Multi-award-winning conductor, Simone Young, makes her Chicago Symphony Orchestra debut leading this quixotic Brahms and Wagner program. Featuring pieces from Wagner's Ring Cycle and Schoenberg's rich orchestration of one of Brahms' greatest chamber music compositions, this is an evening that demonstrates that music really is the food of love. Australian born conductor, Simone Young, is a specialist in both Wagner and Strauss and is recognized as one of the most respected conductors of the age. She has been awarded numerous honors including the Goethe Meal, Conductor of the Year, and the Brahms Prize of Schleswig-Holstein 2019. 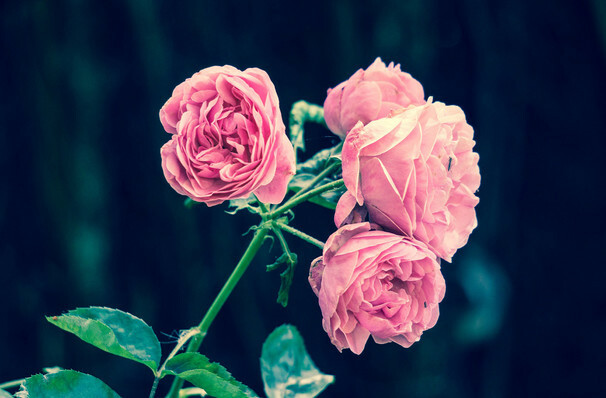 During this performance, Young offers beautifully romantic interpretations from the works of Liszt, Wagner and Brahms, beginning with an excerpt from Franz Liszt's Prometheus (1850), one of the 12 symphonic poems he wrote and dedicated to Princess Carolyne Sayn-Wittgenstein. Richard Wagner's dramatic Ring Cycle, follows before Schoenberg's Piano Quartet No. 1, by Brahms, a piece said to be one of his greatest compositions, draws the evening to a close. Performed by Chicago Symphony Orchestra internationally recognized as one of the greatest orchestras in the world this concert is one audiences will remember for all the right reasons. Sound good to you? 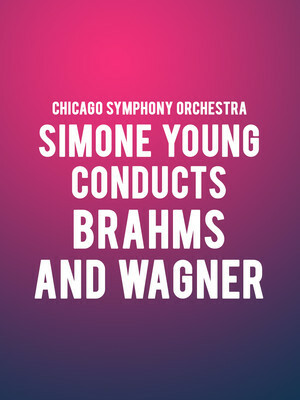 Share this page on social media and let your friends know about Chicago Symphony Orchestra - Simone Young Conducts Wagner and Brahms at Symphony Center Orchestra Hall. Please note: The term Symphony Center Orchestra Hall and/or Chicago Symphony Orchestra - Simone Young Conducts Wagner and Brahms as well as all associated graphics, logos, and/or other trademarks, tradenames or copyrights are the property of the Symphony Center Orchestra Hall and/or Chicago Symphony Orchestra - Simone Young Conducts Wagner and Brahms and are used herein for factual descriptive purposes only. We are in no way associated with or authorized by the Symphony Center Orchestra Hall and/or Chicago Symphony Orchestra - Simone Young Conducts Wagner and Brahms and neither that entity nor any of its affiliates have licensed or endorsed us to sell tickets, goods and or services in conjunction with their events.